Amazon Go finally launched after a year of trial and error. If successful, this will help them first transform the grocery business and eventually all of retail. They are using wireless technology as the center of this new universe. Let’s take a look at how the world of retail has changed and will continue to change going forward thanks to Amazon and mobile technology. What is Amazon Go? It lets you walk in, pick up what you want and walk out. No cashiers, no credit cards, no unloading your basket, packing bags and reloading it. As you walk out, sensors charge the app on your smartphone. It’s very similar to ordering online from Amazon, but it’s in a retail environment. This is a major transformation of the grocery business. This advancement will put intense pressure on today’s retail leaders. Of course, the customer will have to remember where they are. After all, if they use this model and simply walk out of another store the alarms will ring and they will be arrested for shoplifting. Just saying. This kind of reinvention in the entire shopping experience is what we expect from Amazon as they rapidly move into this new sector with Amazon Go, Whole Foods and beyond. Over time, the retail environment continues to change. Companies hire executives and teams to re-design and make the shopping experience more enjoyable. Just consider how it has changed in the last few decades. Today shopping is a fulfilling experience for many shoppers. People go to these stores because they like being there. Consider the changing retail environment of the new Whole Foods markets, Sprouts, Trader Joes, Fresh Market and so on. They each offer a different experience, but they are all cutting edge and customers love them. Major grocers now have self-checkout aisles in many stores, but many are clunky and take away from the shopping experience. There are other grocers who do a much better job with self-pay like Whole Foods, Sprouts and Trader Joes. They let you pay using wireless with your smartphone without having to touch a dirty screen. The fewer things the customer has to touch, the more they like it. Because things can change very quickly, we should expect traditional retailers in this space to rapidly move in this new direction in order to maintain their leadership and market share position. 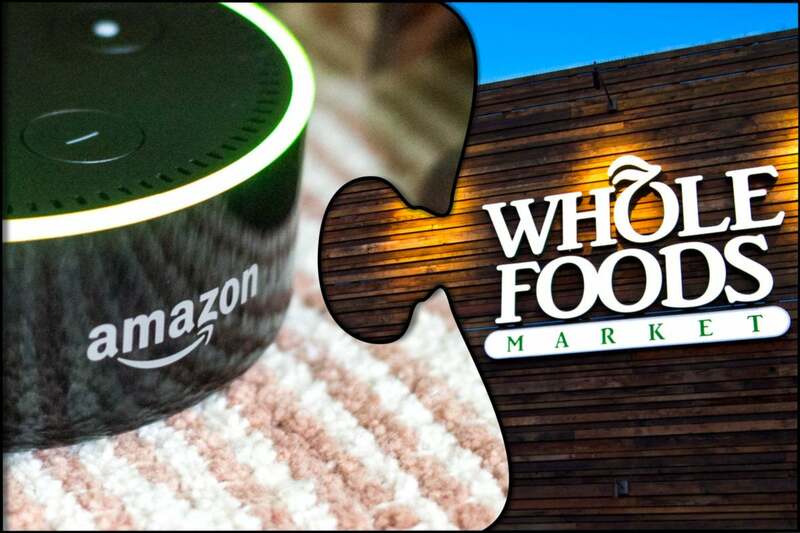 Example, Kroger, who is a leader in new technology is working with Edgewater to further improve and enhance the entire shopping experience using technology like IoT and Wi-Fi. I look forward to learning more about this amazing new level of technology from every competitive grocer. I expect every other leader in the grocery space to follow the lead of Kroger. They must in order to keep up with Amazon Go and the changing industry. The shopping experience is changing in other industries as well. Consider wireless and technology retail stores like the Apple store, Microsoft store, Amazon, AT&T Mobility, Verizon Wireless, Best Buy and others. They are a comfortable place where customers can browse and sit with a counselor who can educate them and help them make the best choices for them. And when it comes time to check-out, it’s often very easy using an iPad at the table they are sitting at. Amazon is rapidly moving into this fast-changing retail environment. And when Amazon is a player, expect a more complete and even more rapid transformation. This is the earthquake which will first transform customer expectations in the grocery sector, and then all of retail. Remember, Amazon takes no prisoners. They completely disrupt industries. They started with the book store sector where they introduced great technology which customers love. This meant top bookstores like Borders just faded away and closed. They have done the same with other industries as well. Now they are focused on retail. It’s not just Amazon but changing technology in general which creates new growth curves and kills others. Remember how Blockbuster and Hollywood Video used to be king of the video rental hill? Then as technology changed and eventually went online, these kings vanished. Today we use services like Netflix to download movies and more from the comfort of our own home. Like ocean waves, every growth wave rises, crests and falls. Some take a long time to do so and others are quick, but they all follow the same path. This is both an opportunity for new ideas and a challenge for existing leaders to maintain their position. If competitors don’t stay with the changing wave, it simply passes them by. That means it’s vital for every company in every industry to understand where they are on their growth curve. Companies need to reinvent their industries to continue to lead and continue to grow. Every competitor must stay with the transformation wave or it will pass them by like it has countless other companies like Motorola, Nokia, Blackberry and so on. The grocery industry and retail in general have been going through a major transformation thanks to technology and new ideas for the last couple decades. That pace of change continues. Now, throw Amazon Go into the mix and this pace of change and transformation accelerates to light-speed. This is the time where every grocer and in fact, every retailer should either lead, follow or get out of the way. The choice, as always, is theirs.